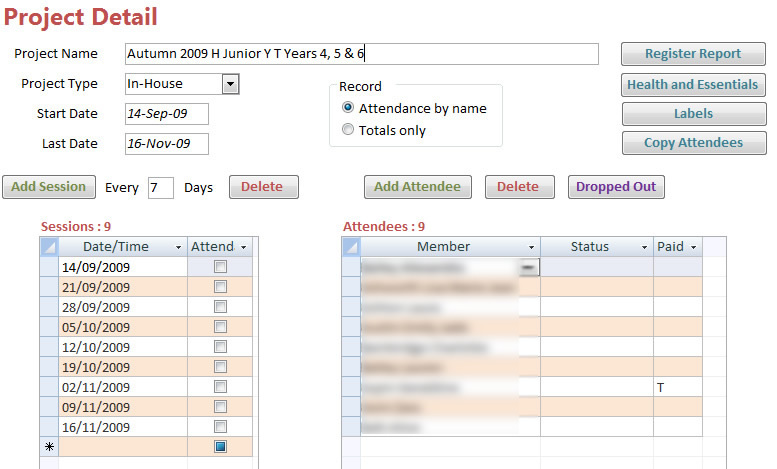 A Membership Database created for Burnley Youth Theatre, Lancashire, written in Access 2007. The theatre runs over 80 classes or projects a year for young persons aged 4 to 25. Projects typically run for a term, but can have any number of sessions and attendees (fig 2). A health and essentials report includes emergency contacts and important medical information for the project leaders. Old member's details can be archived and later recalled. List selection allows users to easily build a list by adding different searches together. Searches can be performed by age range, category, postcode, and gender. Lists can be printed or used to generate mailing labels or emails. Attendance is recorded session by session. Register sheets are printed for recording at the workshops. 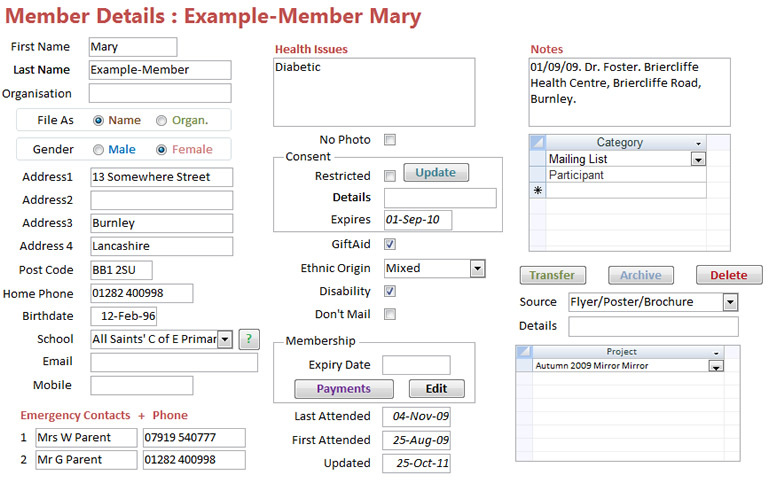 Reports can be selected on multiple criteria : postcode, date range, production/workshop, how they heard about the theatre. Payments received are recorded, annually, term by term, on a project basis or weekly by session. 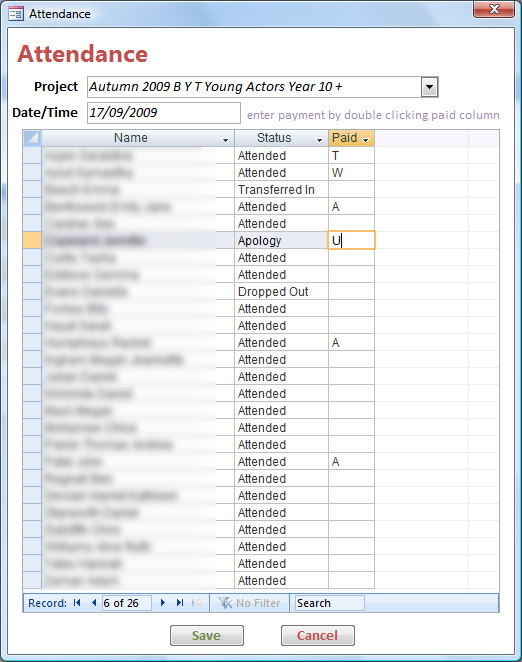 Reports can be produced over a selected date range. "We were impressed with how Paul understood all our requirements and delivered exactly what we needed"